Something evil is lurking below the city of Waterdeep. The Lords of Waterdeep summon a group of heroes to investigate. But someone or something has been watching the proceedings. After the heroes enter the sewers, the ceiling collapses behind them. The only way out is the way down, into a dungeon filled with monsters, traps and puzzles. 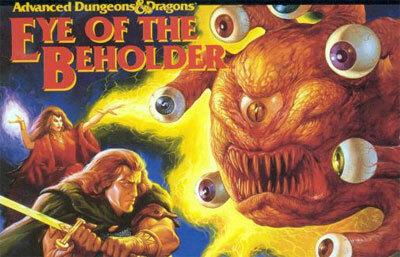 Eye of the Beholder is a dungeon crawler RPG with a first-person perspective based on the 2nd Edition AD&D rules. Your starting party consists of four characters and up to two NPCs can join later. Combat and magic happen in real time. Fight over a dozen different monster varieties and cast over 40 spells. A point-and-click interface makes exploring, fighting, spellcasting and handling objects easy.